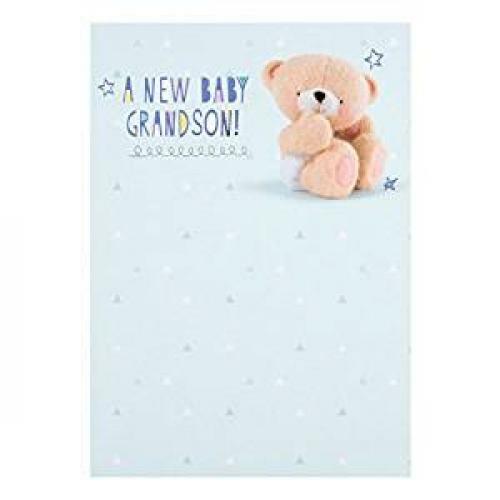 Cute Forever Friends card for you to send to the proud Grandparent/s. With blue foiled detailing, the wording inside reads "Hope he brings you love and happiness today and always! Congratulations".